Only 7 of us made it out that night. But we determined to watch the video and study the Word to its fullest. And at one point in the study as we took turns around the circle reading verses, a hush came over us at the end of one of the verses. It was as if every single one of us knew we were in attendance that night, if for nothing else, just for that one verse. What if he doesn’t do what he said he would? What if she does do what she said she would? What if the money doesn’t come? What if we don’t have enough _________? What Psalm 94:19 told all of us that night, almost grabbing our breath from us, is that even in rough or desperate situations, we can be filled with the joy of the Lord. He is our consolation and His Word eases anxiety like nothing else can. So I went on a treasure hunt- one for verses that kick anxiety to the curb. And I thought you might want to read them too. 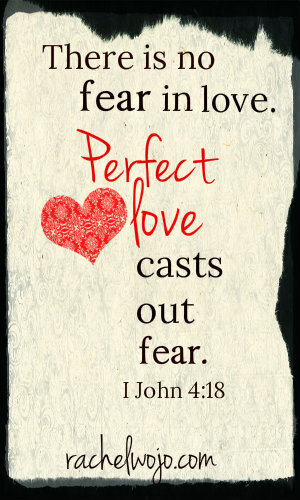 Thursday is Valentine’s Day- how perfect that perfect love casts out fear! Today I have an article on Candace Cameron Bure’s online magazine, Roomag. It is about how I know Taylor loves me- though she hasn’t said a word in ten years. I hope you’ll stop over there and read it. 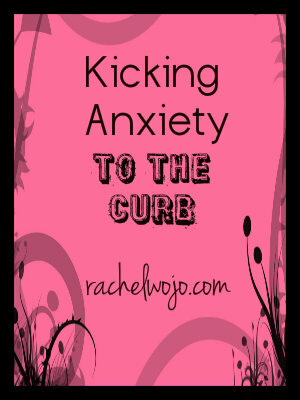 Do you have a verse to kick anxiety to the curb? I’d love for you to add the Bible verses that you use to combat worry, fear and anxiety in the comments below. Addendum: This post resonated so much with my readers that I created a free printable for these verses. You can find it in this follow-up post. Perfect. love it. Thanks Nkaka! Thank you for putting this together! 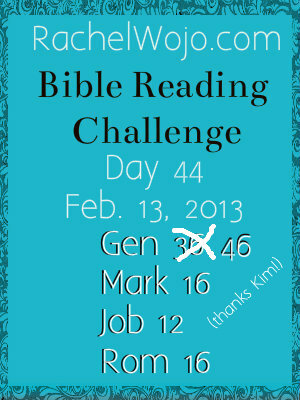 Just as it was timely for you, it has been for me today! Blessings to you today, Colleen! I love this verse, Rachel: “When anxiety was great within me, your consolation brought joy to my soul” Psalm 94:19. Such comfort. How do I keep calm when faced with anxiety? By remembering God’s command to be still & trust in Him 🙂 BTW..we are on Chapter 46 today in Genesis & not 36. HATE being a corrector, but didn’t want anyone who might be joining us late in our reading to go to the wrong chapter 🙂 Blessings Rachel!! Thank you!!! I’m so glad you noticed and said something! I love your verse. 🙂 Blessings to you. Thank you for this post!! I LOVE all these verses on anxiety. Each one full of wisdom and TRUTH. This is something we all struggle with at one time or another. Thank you for equipping us with verses so that we can “take every anxious thought captive” to the obedience of Christ. I struggle with anxiety everyday and get so overwhelmed while my thoughts and heart race. I am going to write all of these verses on index cards so that in times of anxious thoughts, I can read these verses and replace my anxious thoughts with those of The Lord’s! Thank you for this post! I really, really needed it! Oh Mary Jo! Jesus, be with Mary Jo and give her peace. We know your word brings peace and we pray that as Mary Jo reads these verses over, that you would give her peace that we can’t comprehend. In Jesus’ name we pray these things. Blessings to you!! Rachel, you brought tears to my eyes. I am grateful and honored by your prayer…with everything stacked on your plate, I’m I awe how you still make people like me feel special! God Bless you! You are an amazing woman! Thank you for your encouragement and blessings! God has blessed me finding your blog! I have battled anxiety off & on most of my life (I’m 40). It has at times been a HUGE stronghold in my life. God in His wonderful mercy has gently been reminding me of it this verse again more recently as the anxiety has reared its ugly ahead again. For God has not given us a spirit of fear and timidity, but of power, love, and self-discipline. (2 Timothy 1:7 NLT). A friend shared that with me many years ago & I call it out to Him frequently! Wonderful, wonderful verse, Renee. Thank you so much for adding it! Blessings to you. That’s a poignant verse for me, though, I suffer from the medically diagnosed and treated kind of anxiety. The type of anxiety you’re talking about is what I would consider “worry,” and that’s a struggle I think most women (especially) face. Most of us feel so responsible for our family and friends, or consumed by our obligations like managing money, etc., that it’s easy to forget that God is right there, in it, with us. Giving up those worries is something I make a conscious effort to do, because I’m a planner, and, as an only child and as an independent, chronically ill woman, I like feeling in control. The medical anxiety is a byproduct of other illnesses (it began when I began having seizures as a child, and began rearing its ugly head again as I began dealing with the pain, fatigue, and other symptoms of FMS as an adult,) but I have been so fortunate that my previous health problems have lead to relatively easy treatment of my current anxiety. I am able to take the same medication I took as a child, use the same coping mechanisms I learned through biofeedback and other therapies, and I have an even better relationship with God as an adult that helps me deal with everyday difficulties. It can be frustrating and hurtful when I mention dealing with anxiety and people react in a way that suggests I should just “get over it,” stop worrying, or that relying on medication for treatment isn’t Godly (or – ugh – Godly *enough*,) but I’m thankful for the resources I’ve been given; they are blessings to me. I also know that those who haven’t experienced severe anxiety don’t understand the distinction between worry and anxiety so severe that it leads to an anxiety attack (whether you’re worrying about something or not,) and it’s my choice to educate them. So, even though it can be a challenge, I try to be as empathetic to people who respond in that way as I would like for them to be toward me. Bless you Chelsea- indeed an anxiety disorder is very real and something completely different that this topic. Thank you so much for your feedback and for your gentle explanation. May you continue to have strength in the Lord! Late to the party again, but felt compelled to comment. I sure appreciate Mary Jo’s, Renees and Chelseas’s honest perspectives. I think Chelsea touched on something important when she spoke of control. I too am a planner and have found myself many times wrestling with God for control, or reluctant to hand it back. Though, a wise friend of mine reminded me that really, it is just my “illusion of control”! 😉 I’ve come to realize it is tied to my level (or lack) of trust in how BIG and ABLE He is, my failure to recognize his sovereignity. (Prov 3:5,6) Elizabeth Elliot says “”Contentment is accepting God’s sovereign control over ALL of life’s circumstances.” So much harder to do when we are worried about all the “What if’s”. Hit the nail on the head there Rachel! 1 Timothy 6:15 reminds us that “God is the blessed controller of all things, the king over all kings and the master of all masters.” Anxiety can sure become a master over us. I know my own mother was a master worrier! I also find it interesting that Webster’s dictionary first defines worry (or the act of worrying) as: “To seize by the throat, or to tear with the teeth, as in dogs fighting” and then to “harass with importunity” (i.e. to press, solicit , urge or to annoy with unwitting demands!). Yikes! Doesn’t that give a vivid-and violent-picture of how the enemy zeros in on our weaknesses and human frailties?? Such a contrast to the love and peace we experiance in Christ, when we are able to focus on the comfort found in, and the promises of, His Word! Webster’s definition of anxiety is “Pain, or uneasiness of mind respecting…the future…uncertainty…being in painful suspense.” Not a fun place to be! I had never stopped to consider these concepts, and their different definitions, until my women’s bible study group choose the book “Calm My Anxious Heart” by Linda Dillon last spring. In it, she further explains the differences and explores in further depth God’s antedotes (sp?) to anxiety. In one chapter, she reminds us that any good shepherd always goes before his lambs, to check for danger. Our Good Shepard does this for His precious children too. He is always present with us, but he is ALSO in our futures at the same time, working things out for our good and His glory. Amazing. We are lovingly protected and cared for and therefore can REST, secure in that knowledge. 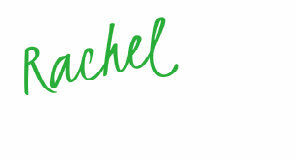 As a tea drinker who loves to drink in God’s word (even more thanks to you this year Rachel!) I enjoyed this quote from “Calm my Anxious Heart”: “Just as a cup of tea gets stronger when we give it time to steep, so we become more content when we spend time in God’s Word and allow it to steep into our lives, transforming us to be like Him.” I highly recommend this book, and study, if this is an area of struggle for you or someone you care about! I will be praying for these dear sisters who struggle every day to live, and even thrive, with a medical disorder. Mary Jo, I hope all of these thoughts, and those of the others, have encouraged you! Sorry about the essay Rachel, just couldn’t stop the “flow” this morning! lol Be blessed today. OH Angie! Thank you so much for your gift of words this morning. I have heard wonderful, wonderful things about the Calm My Anxious Heart study, but have never done it. However, you mention that issue of “control” and THAT is exactly the study we are doing for the Bible study- Let.It.Go by Karen Ehman. How to Stop Running the Show and Start Walking in Faith. Oh my goodness, I never thought I was a control freak until I began to see that I hadn’t given God ALL the reins. I highly recommend the Let It Go Study! 🙂 Blessings to you! This verse calms me down when I experience anxiety! !